You want sleek, professional design — without paying a fortune for it and without fearing instant obsolescence as web design evolves. Choose from a score of included turnkey “mobile optimized” HTML5 designs that provide beautiful frames for your content. Feel free to personalize any of the included themes by tweaking the CSS, or go to a completely custom Genesis child theme. Studiopress now offer a product with the ease of an all-in-one website builder with the flexible power of WordPress. Introducing StudioPress Sites – WordPress made easy without sacrificing power or flexibility. It’s perfect for bloggers, podcasters, and affiliate marketers, as well as those selling physical products, digital downloads, and membership programs. Focus on Creating and Selling and Forget About Fooling with Technology. The MyPE web site has for years run on the rock solid Studiopress theme for WordPress and we have no hesitation in recommending that you give StudioPress Sites a try. 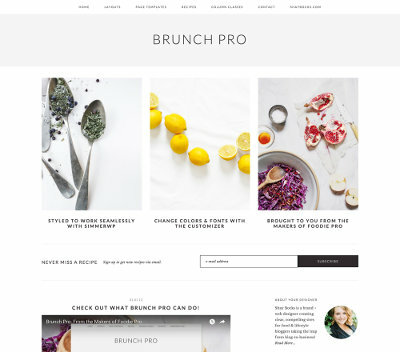 You’ll have instant access to 20 StudioPress themes when you purchase any StudioPress Sites plan, including: Altitude Pro, Atmosphere Pro, Author Pro, Brunch Pro, Daily Dish Pro, Digital Pro, Executive Pro, Foodie Pro, Gallery Pro, Infinity Pro, Lifestyle Pro, Magazine Pro, Maker Pro, Metro Pro, News Pro, Parallax Pro, Showcase Pro, Smart Passive Income Pro, Wellness Pro, Workstation Pro. You’ll be able to use any of these themes on your StudioPress Site for as long as you’re a StudioPress Sites customer. Disclosure: Purchasing StudioPress Sites will help support MyPE as we will receive a small commission.